An absolute best-seller. Two compact and lightweight Orbit keylocking carabiners connected by 16mm polyester dogbones create the ultimate utility draw. The update to the best-selling Orbit keylock carabiners increases the major axis and open gate strengths without increasing weight. 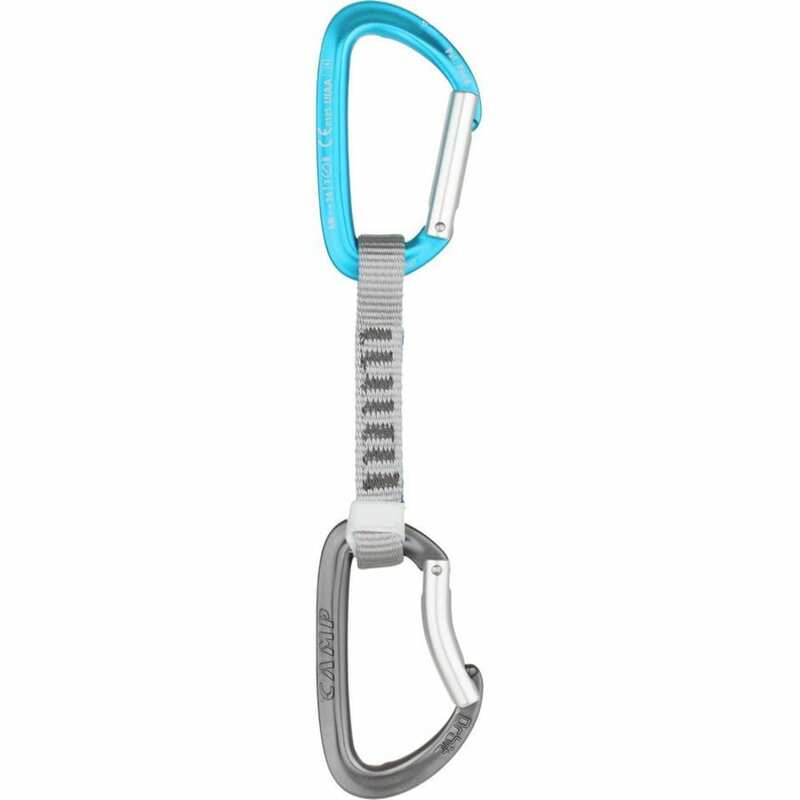 The Orbit remains a solid workhorse for everyday climbing with great durability and smooth clipping action, and the new SphereLock closure minimizes play between the gate and nose for enhanced safety and performance. The 16mm polyester dogbones are equipped with the proprietary Karstop Evo carabiner retainer that prevents the rope end carabiner from shifting.